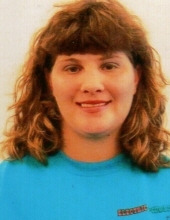 Kathryn Meryl Reeve 37, passed away at her residence on January 11, 2019. Funeral services will be held at the St. Paul United Methodist Church on January 16, 2019 at 3pm, with Will Thompson officiating service. Under the direction of Melton-Kitchens Funeral Home. Kathryn was born on December 16, 1981 in Tulare, California. She is survived by her finance, Chris Boland, Mother, Nancy Reeve and numerous extended family and friends. "Email Address" would like to share the life celebration of Kathryn M. Reeve. Click on the "link" to go to share a favorite memory or leave a condolence message for the family.